You may believe that all cardiovascular disease is caused by clogged coronary arteries, the big vessels that carry blood and oxygen to your heart. Most heart disease that leads to a heart attack also called a myocardial infarction, is caused by plaque formation in these arteries and a rupture of one of these plaques. When a plaque ruptures, a clot can form. In turn, the clot can block blood flow to the heart and damage it. That’s what we know as a heart attack and it can lead to heart damage or even death. No one disputes this etiology, but here’s the puzzling thing. Half of all women with classic symptoms of cardiovascular disease and who should have blocked coronary arteries have arteries that are clean. In other words, they have little plaque build-up. Yet, these women have symptoms consistent with decreased blood flow to the heart, such as chest pain and shortness of breath. When tested, they have a normal angiogram, a test that looks for obstruction of the coronary arteries due to plaque. Why might this be? So common is this condition of clean arteries in a setting of cardiovascular disease that health care professionals have a name for it – cardiac syndrome X. Some physicians also call it INOCA for “no obstruction coronary artery disease.” This phenomenon occurs in men too, but it’s more prevalent in women. The reason why women are diagnosed more often isn’t clear, although estrogen deficiency seems to play a role. In women, up to 25% of ischemic heart disease is INOCA while it’s only 10% in men. That’s why all women should know about this less talked about form of cardiovascular disease. Women with cardiac syndrome X have many of the typical symptoms of classical cardiovascular disease. Common symptoms include chest pain, shortness of breath, especially with exertion, fatigue, and reduced exercise tolerance. If you have any of these symptoms, let your physician know right away. But, people with cardiac syndrome X who undergo angiography to look for a blockage in the coronary arteries, find their arteries are clean or almost clean. Yet, they will often have an abnormal cardiac stress test. During exertion, their EKG heart tracings show signs of strain on the heart. A cardiac stress test is the biggest clue that something is wrong. A stress test is where you walk or run on a treadmill while technicians monitor your heart activity. In some cases, especially for people who can’t exercise, they inject the blood vessels with a dye that dilates the blood vessels, mimicking the effects of exercise and then monitor heart activity. This study is called a thallium stress study. So, an abnormal cardiac stress test in the setting of clear coronary arteries, suggests cardiac syndrome X as a possibility. So, how do you know if you have it? If a physician suspects cardiac syndrome X, they may recommend a more advanced imaging study, like a PET (positron emission tomography) or PET scan, spiral CT, or cardiovascular MRI to get a closer look at the smaller blood vessels. How dangerous is cardiac syndrome X? Research shows women with this atypical type of heart disease have a 2.5% risk annually of experiencing a heart attack, stroke, or dying prematurely. If you have it, you want to know about it! You might wonder how you can suffer a heart attack with normal coronary arteries. The problem lies with the smaller blood vessels that feed into the main coronary arteries. With cardiac syndrome X, these blood vessels, called arterioles and capillaries, are blocked. These blood vessels play a key role in delivering blood and oxygen to the heart. Although these vessels are immune to plaque due to their small size, their function can change in a way that leads to reduced oxygen delivery to the heart. You may have heard of the term endothelial function. When blood vessels have a good endothelial function, they dilate and contract in harmony to accommodate blood flow and are less likely to form a harmful blood clot. 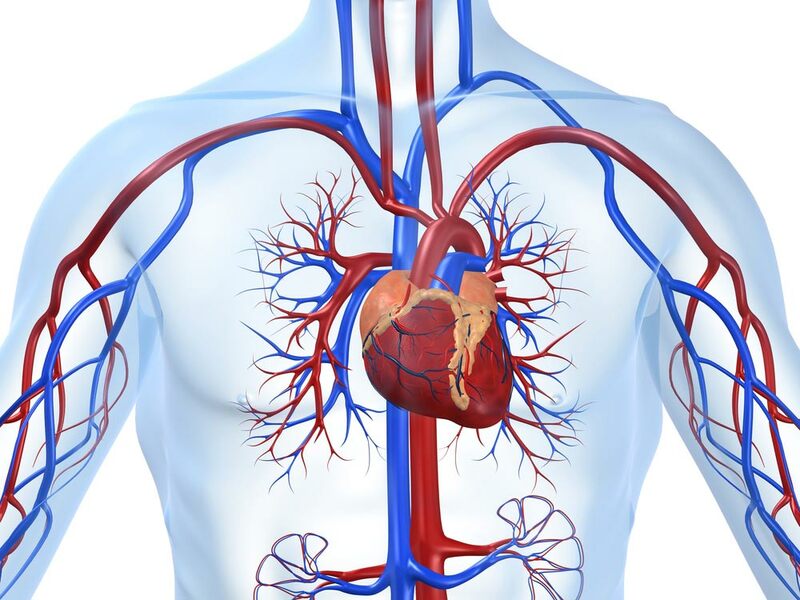 People with cardiac syndrome X have reduced endothelial function in these smaller vessels. The vessels are less flexible and can’t accommodate blood flow as well – but why? Research suggests that a decline in estrogen is a likely factor in women. Estrogen levels drop precipitously after menopause and that’s when cardiovascular disease in women often show up. Cardiac syndrome X is also more common after menopause when estrogen production declines. A drop in estrogen is linked with worsening endothelial function, but the decline in estrogen is only one factor. People who smoke, have uncontrolled high blood pressure, have abnormal lipids or type 2 diabetes have a higher risk. These are all conditions that damage the inner walls of the smaller blood vessels that feed into the coronary arteries. That’s why it’s so important to keep blood pressure and blood sugar under control. Women and men who have cardiac syndrome X are at higher risk of developing heart failure too. That’s because one of the big chambers in the lower portion of the heart, the left ventricle doesn’t relax as well as it should in people with this heart condition. So, fluid can build up on the lungs. How Do You Treat Cardiac Syndrome X? Most physicians recommend lifestyle changes and, often, medications to improve blood flow to the heart. One type of blood pressure medication called ACE inhibitors offer benefits for some people. Treatment depends on the severity of the symptoms. Losing weight, if overweight and exercise can help as well. But, it’s important to get a doctor’s advice before starting an exercise program with any type of cardiovascular disease. Scientific American. “What Ails a Woman’s Heart?” January 2019. Heart. 2006 May; 92(Suppl 3): iii5–iii9.doi: 10.1136/hrt.2005.070318. Can J Cardiol. 2012 Mar-Apr;28(2 Suppl):S42-9. doi: 10.1016/j.cjca.2011.09.006. J Am Coll Cardiol. 2018;doi:10.1016/j.jacc.2018.05.049. Does Fish Oil Really Lower the Risk of Cardiovascular Disease? Heart Disease Runs in the Family: How Worried Should You Be? Does How Flexible You Are Say Something about the Health of Your Heart?